Located on the southwest slope of Red Mountain, Klipsun Vineyard grows some of Washington’s highest quality wine grapes. Named as one of the Top 25 Vineyards in the World by Wine & Spirits magazine, Klipsun grapes are used in many of Washington’s premium wines. We are pleased to offer this Cabernet to home wine makers. 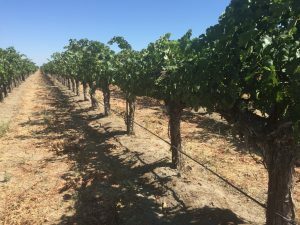 The vineyard, planted in 1984, sits at 600 ft. and is primarily composed of sandy silt loam soil. The proximity to Yakima River provides frequent breezes. We are accepting orders for 2018, click here to order. In addition to Red Mountain, we are offering Cabernet from Fountaingrove and Moon Mountain AVAs in Sonoma, Coombsville AVA in Napa and Columbia Valley AVA in Oregon.